The adventurous journey will be started at our traditional Balinese wantilan design Lobby. Set in the middle of green rice field overlooking to the breath taking Abang mountain, our lobby is a lounge fully equipped with desk, rafting equipment and photo display of safety procedures, television and separate male and female toilet. Not only that! 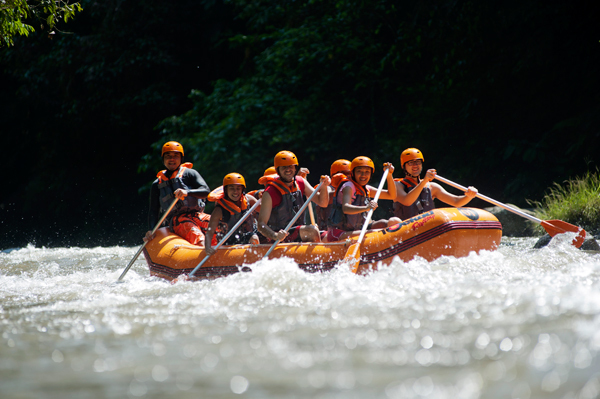 There you will get your next introduction to the guide masters who will brief you on tips of doing a fun and safe rafting using English/Korean/Mandarin, and or Indonesian. 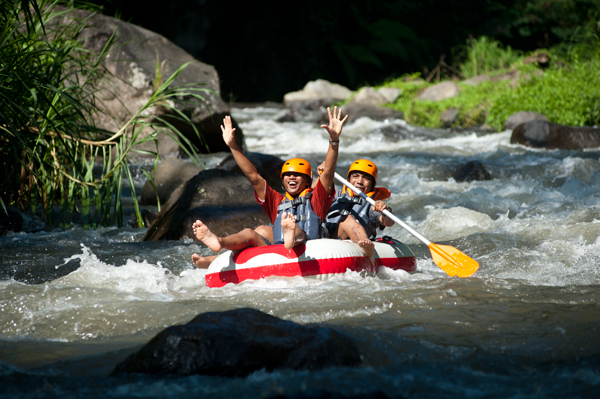 The rafting adventure will be on Ayung River, the biggest and longest river in Bali. 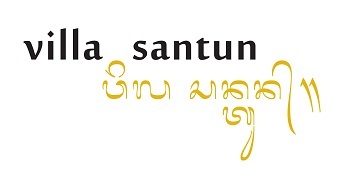 The Ayung River class is number II and may rise to class number IV during rainy season. 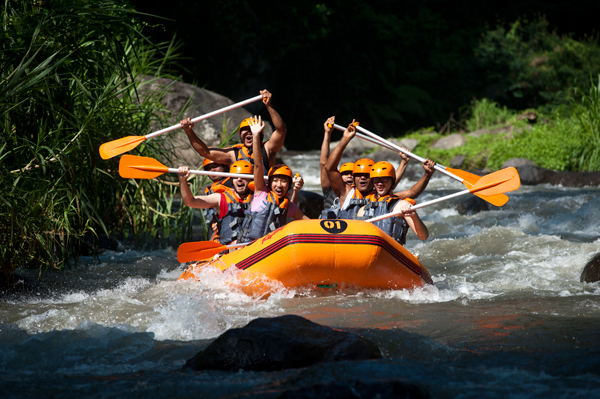 For approximately 2.5 hours you will have the highest enjoyment of rafting and as well experience an unrivalled way to appreciate the natural scenery, wildlife, and exotic plants of Bali. 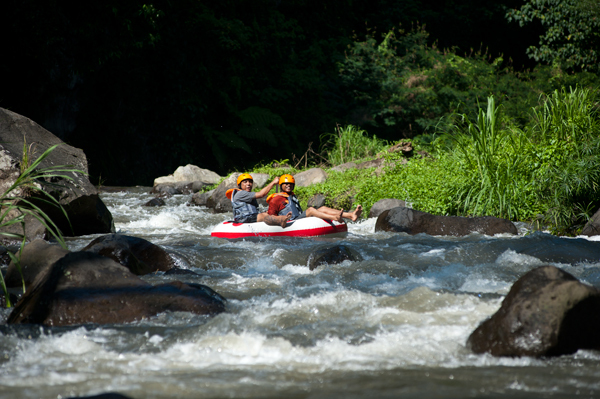 The first Adventure Company in the heart of Cultural Village “Ubud” that providing the most comprehensive & exiting TUBING Trip in Ayung River Ubud toward to your satisfaction.